One of the "fun" test batches I brewed for Modern Times in between batches of Lomaland, Fortunate Islands, Black House, and Blazing Worlds, was a 100% Brett IPA. Yesterday afternoon, I got my first taste of the kegged and carbed commercial batch, Neverwhere! The result is a terrific blend of tropical fruit and pineapple from both the hops and fermentation. The brewers really nailed this one on the first go! More information on this batch, and 100% Brett beers in general, is available on the Modern Times blog, coincidentally in a post I wrote. This summer I'll be contributing occasional posts when there is a topic I can speak on. It won't be as geeky as what I tend to post here, but hopefully it'll give me a chance to set the story straight on a few things (like how despite having Brett, Neverwhere isn't sour or funky, and shouldn't be aged!). Wednesday we'll be repitchig the harvested Brett Drie into a malty pale ale hopped with Motueka, Cascade, and Triskel. I've never brewed with either Motueka or Triskel, but Alex and I went back and forth and hammered out a malt bill that should get a bready kick from a decent amount of dark wheat malt. 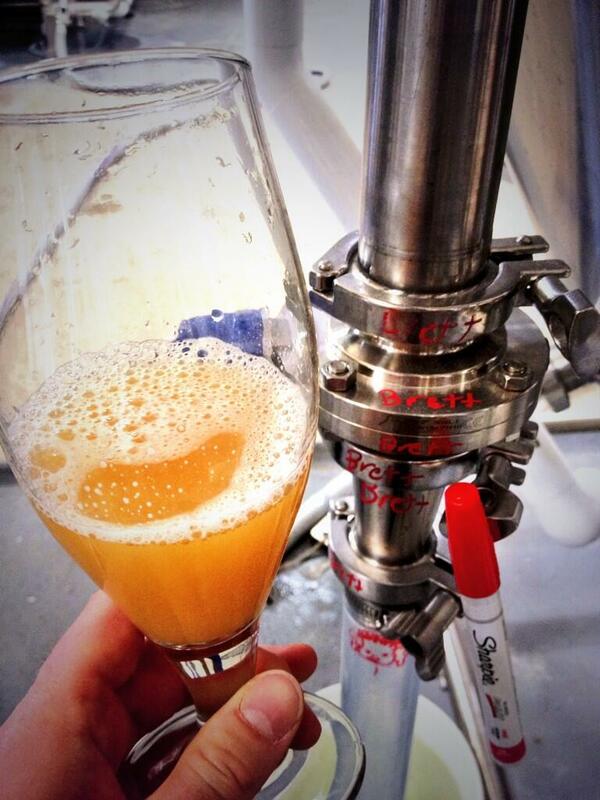 We've got a 30 bbl tank dedicated to fermentations with Brett, so expect a steady stream of beers like this! Today I cleaned thirty fermentors and kegs, and tomorrow I'll be getting the pilot system operational (more on that later). The goal is to start producing wort to grow microbes destined for the sour/barrel program. I've already got Al of East Coast Yeast, Maarten of Saccharolicious, and Nick from his yet-to-be-named community supported yeast ranching venture on the hook to send me various strains to play with. On hand, we've already got several strains of Brett that both Dmitri of BKyeast and Jason of Brew Science isolated from Cantillon. Plus two isolates that Claudio of DC Yeast Lab isolated from my DCambic! Jacob managed to obtain some killer sours with one last trading hurrah, so we'll be culturing a few of those, as well as some of my favorite batches of homebrew. Might as well run down to the homebrew store and grab a couple bends from both Wyeast and White Labs too. So excited about these new yeast labs popping up. Hopefully they'll make banking isolated strains affordable on the part-time homebrewer/yeast rancher scale. Thanks for supporting their efforts! Looking forward to hearing how the results taste! Great news, and a delicious sounding brew! I don't suppose that there's any chance of this (or any other Modern Times brew)reaching DC, is there? I really appreciate this and the post on the Modern Times blog. Makes me excited to try new beers from craft brewers and new ideas with my own brews at home. I think you will enjoy Motueka. It is one of my stock hops that goes into almost everything. It's got a great lime zest and lemongrass thing along with some herbal noble-hop notes. Not too familiar with Triskel, but it sounds like a fruitier Strisselspalt. 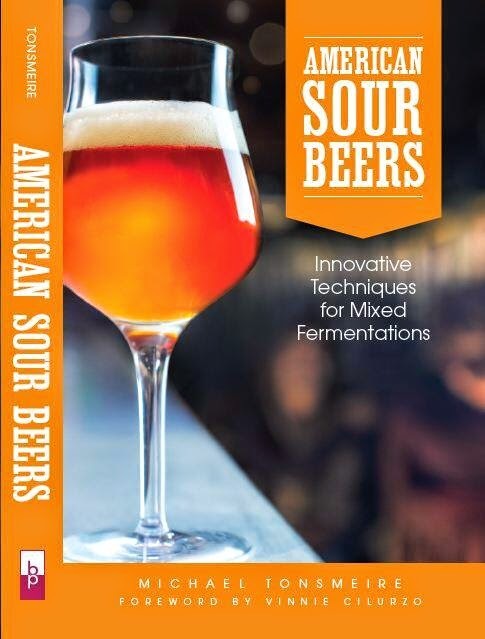 I think a big part of the issue is that some breweries produce sour beers they call "100% Brett" even though there are lactic acid bacteria in them as well (take Russian River Sanctification for example). Those are my impressions of those two hops from the other brewers, should be a fun combination! Have you tried Brett Trois with heavy doses of more dank hops? I was thinking of brewing a pliny the elder clone split between american ale yeast and Trois, but I'm not sure if the heavy columbus and simcoe would be a good combo with the brett. I could probably do separate dry hops for each, with the trois version getting something more fruity, but that would take away the ability to do a direct comparison. I haven't, but we've kicked around doing a 100% Brett version of Blazing World (which is a dank combo of Nelson, Mosaic, and Simcoe). It would probably be a bit clearer exactly what the Brett is contributing in that case as its flavors wouldn't be such a match for the hop aromatics. Nothing wrong with that, just contrast rather than complement. I ended up doing a split batch Pliny clone with us05 and Brett trois. I just did a blind triangle test and the Brett version wasn't too hard to pick out. The biggest difference was a juiciness in both the aroma and flavor with the Brett beer. The Brett version also seemed a little less bitter, but that might have just been a perception from the tropical juice flavor. Myself and one other person both preferred the Brett version which was more complex and more "drinkable." Definitively a good combination in my opinion.